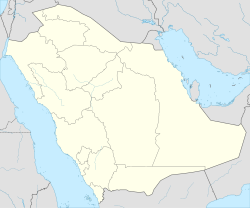 Dhahran (Arabic الظهران aẓ-Ẓahrān) is ceety locatit in Saudi Arabie's Eastern Province, an is a major admeenistrative centre for the Saudi oil industry. Lairge oil reserves wur first identified in the Dhahran aurie in 1931, an in 1935 Standard Oil o Californie (nou Chevron Corporation) drilled the first commercially viable oil well. 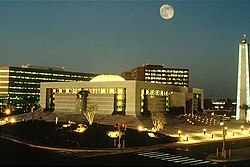 Standard Oil later established a subsidiary in Saudi Arabie cawed the Arabian American Oil Company (ARAMCO), nou fully awned bi the Saudi govrenment as Saudi Aramco. This page wis last eeditit on 15 Mey 2018, at 17:35.